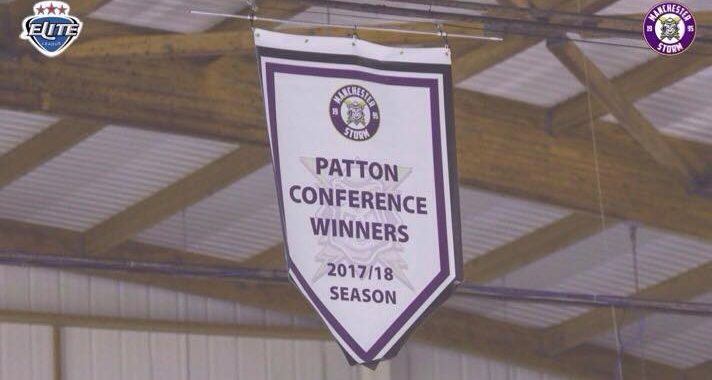 Last night, Manchester Storm raised the Patton Conference banner to celebrate the success of last season, prior to facing visitors and conference rivals, Coventry Blaze. It was a good game to watch, resulting in Storm taking the two points at home and the fourth win in a row on home ice. It was Storm who sent the puck home in the first five minutes on a turnover, scored by Linsmayer at 5:04 with the assists from Long and Richardson. Blaze were the first in the box when Joyaux received a delay of game penalty at 6:36. Storm followed at 8:04 when Linsmayer sat in the box for hooking. Things became tense, as Balmer and Haché went at it, both sitting penalties for rouging at 12:27, leading to back and forth four on four hockey. Goal number two for Storm came at 15:29, when Richardson got his first competitive goal of the season, putting the puck in the net on a one timer, passed from the back of the net – the assists from Linsmayer and Long. Just two minutes later, Storm scored goal number three, with Linsmayer taking his second of the night with assists from Long and Stadel. It was a strange goal, and lucky for Storm, shot high, before rolling over the back of Kopriva and crossing the line. At 17:53, things kicked off and gloves were dropped between Springer and Haché. This resulted in a five minute minor handed to both for fighting, and Haché taking an extra two plus ten for checking to the head. Blaze came out strong for the second period and were persistent throughout. It wasn’t long before newbie, Crowder got their first goal at 21:09, on a two on one with an assist from Nikiforuk and Morris. They managed to get their second of the night, closing the gap with Storm at 28:48 when Nikiforuk sent the puck home with assists from Morris and Ferrara. There was less checking in the second period, with only two penalties given, and both to Blaze – bench penalty for too many men at 30:49 and Nikiforuk for tripping at 39:34. Blaze gave it everything they had in the second period, and it looked like it would be a tense third period to witness. Storm had the upper hand at the start of the final period. In the first two minutes of play, Storm secured a two goal difference on the powerplay as Stadel sent the puck home top shelf, also getting his first competitive goal of the season, with assists from Richardson and Auger at 41:31. The third period was back and forth for the majority. Macmillan was sent to the box at 42:27 for cross-checking, with Blaze not managing to put one past Ginn on their powerplay. Basara received a two plus ten minute penalty for boarding at 53:28. Both teams recieved coincidental penalties in the final five minutes of play, Springer for holding and Hansen for cross-checking. 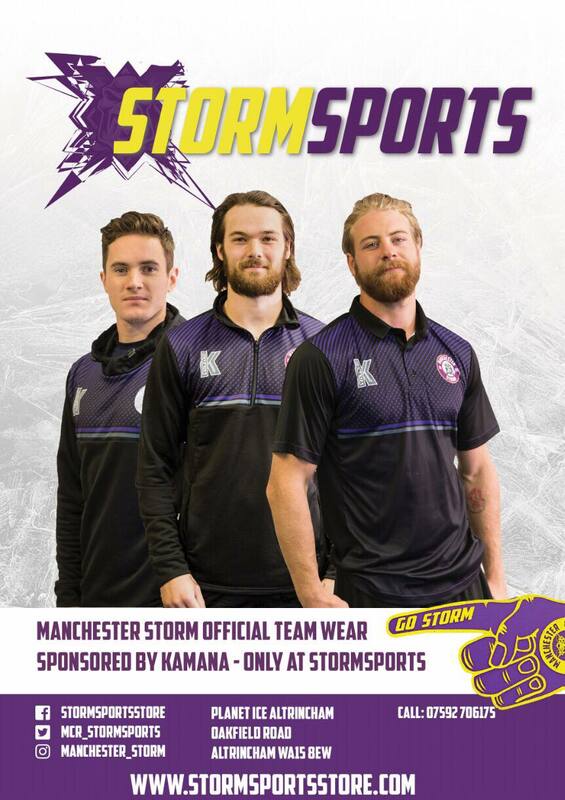 During the final two minutes of play at 58:53, Moffatt scored an empty net goal, and Storm’s final of the night, with the assist from Byers. Richardson sat in the box at 59:12 for tripping, but it didn’t affect play, as Storm took the victory at 5-2. Man of the match for Blaze went to #22, Alex Nikiforuk. Man of the match to the Storm went to #26, Rob Linsmayer. Miroslav Kopriva 36 Shots on goal. Matt Ginn 37 shots on goal. 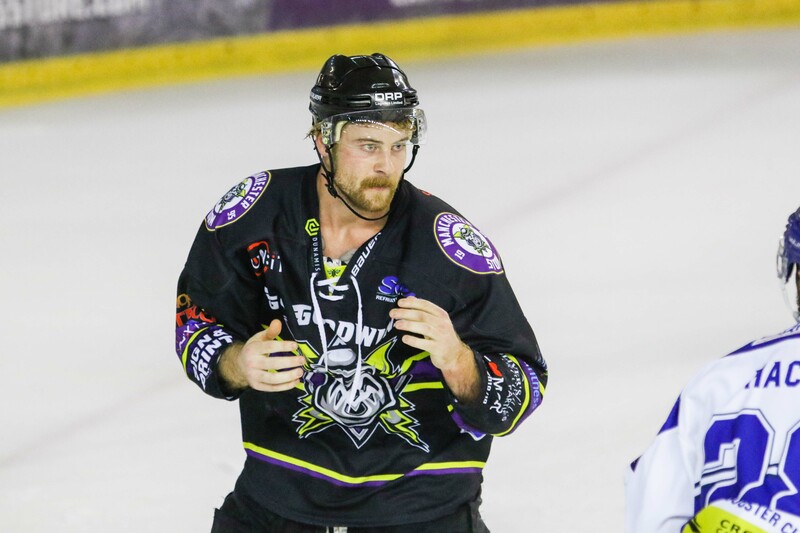 Manchester Storm’s next game is a home game against Pacha’s, Dundee Stars, Saturday 20th October, 19:00 face-off. 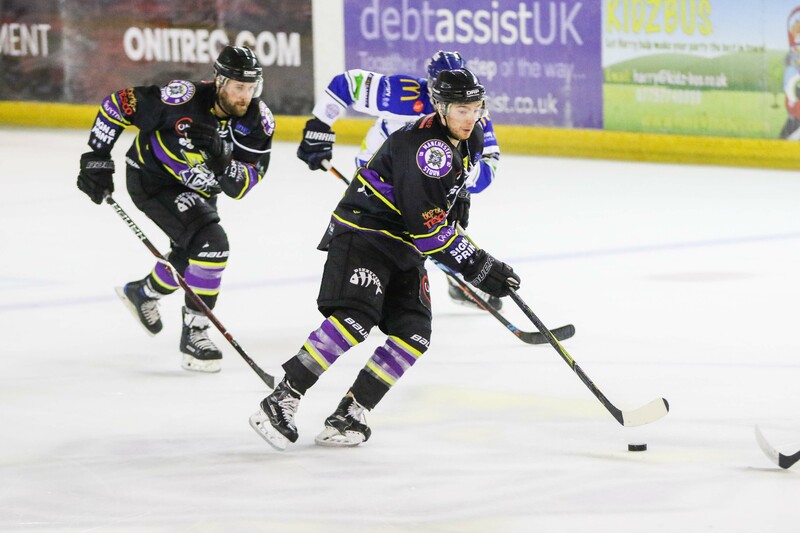 They’re then travelling across the pennines to face Sheffield Steelers for an early face-off of 4pm on the 21st.